We have listed some terms below that you may hear or see repeatedly while visiting our site. We hope this page will assist you in understanding our solutions, recommendations and explanations more clearly! Please hover over each image for a larger view. 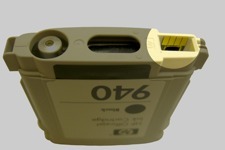 A small electrical patch containing contacts which stores information for interaction between the cartridge and the printer. Not all inkjet cartridges have a chip. Most inkjet cartridges contain a flexible ribbon (called a "flex ribbon") that contains the information for interaction with the printer. A plastic part used to protect the contacts and nozzle plate during transportation and before use. A cartridge that is made entirely of new components to resemble the OEM. Sometimes the cartridge only resembles the OEM on the exterior however most cases resemble the OEM both internally and externally. A series of copper squares that makes contact and communicates with the printer. The portion of the printer where the inkjet cartridges are installed. This device also carries the inkjet cartridges back and forth across the page creating the desired image. 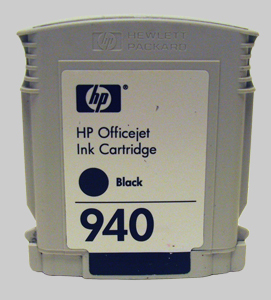 Dye based inks are typically found in color cartridges; however, there are some cases where black cartridges are dye based (photo blacks are dye based). Dye based inks are not water proof or water resistant. They are available in a variety of shades which aids in the color matching to the OEM. A cartridge that contains foam in one or more areas of the cartridge. 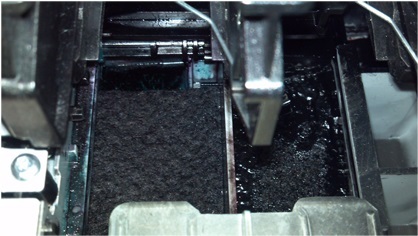 The foam acts as a sponge holding the ink in the cartridge however adequately releasing the ink as needed when the space becomes available in the ink reservoir. 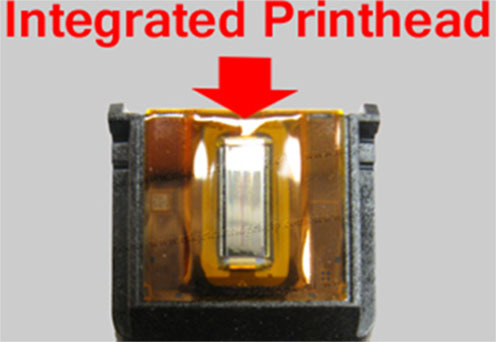 An integrated inkjet cartridge has a nozzle plate (printhead) installed on the cartridge along with an electric flexible ribbon connecting the nozzle plate to the electrical contact that interact with the printer. 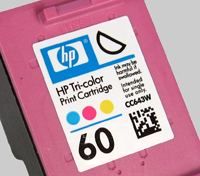 A non-integrated inkjet cartridge does not have a nozzle plate included on the cartridge. The nozzle plate for these types of cartridges is included in the printer. The printhead is a consumable item; in some cases, however, in others the printhead is not replaceable. In most cases the chip can be replaced on these style cartridges allowing them to respond to the printers exactly like the original. Consists of a series of tiny holes that eject ink to form an image or text when instructed to do so by the computer through communication of the chip or flex ribbon. 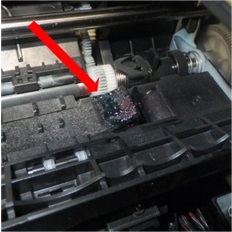 At times, OEM manufacturers make updates to ink cartridges and/or printer firmware that will cause printers to produce an error message that states “older generation” upon the installation of a cartridge. This firmware update requires that a customer purchase an OEM for their printer or insert a “newer generation” cartridge in order for the printer to function properly. 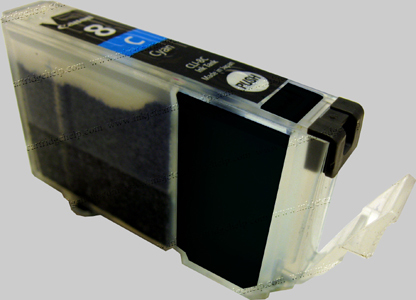 This affects OEM as well as remanufactured cartridges. Inkjet remanufacturers are able to stay on top of these updates and begin producing the “newer generation” cartridges as soon as possible. For more information on these updates, click here for the HP 61 series or click here for the HP 950/951 series. Lighter shades of black which allows for more color combinations and more "life-like" photographs. Pigment based inks are typically found in black cartridges; however, there are some cases where color cartridges are pigment based (some Epson, Kodak, and some wide format printer applications). Pigment based inks are water resistant and fade resistant; however, they do not come in many shades so color matching to the OEM is difficult. Pigment based inks also have a higher cost associated with them than do the dye based inks. 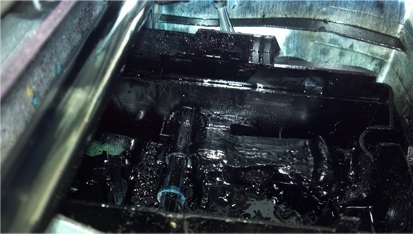 To pull ink from the foam or ink reservoir down to the nozzles preparing them for printing. 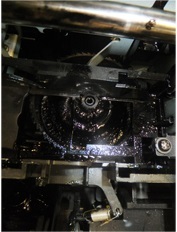 This is a regular operation performed by the printer, but can also be manually performed to aid in producing an acceptable print. An inkjet spittoon is a component in inkjet printers that collects the ink that is removed from the cartridge when the inkjet is primed. This spittoon (sometimes called a reservior) can be either a plastic tray or a piece of foam that absorbs the excess ink. Some of the ink can dry (which makes the foam not absorb as well), and the ink that isn’t absorbed sits in the bottom of the printer. This is how ALL inkjet printers work, which is why it is never a good idea to move an inkjet printer as there will more than likely be ink in the bottom (especially older printers or printers that are used a lot). A cartridge that has no foam inside and consists either of a bag/lining or a series of channels and canals. Both of these mechanisms adequately dispense the ink at the correct rate. 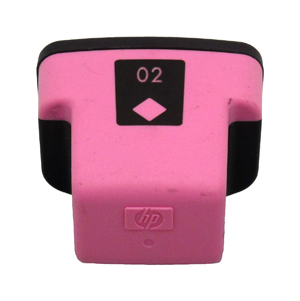 A cartridge that is foam based and contains 3 different colors of ink in one cartridge. Typically these colors of ink are Cyan/Magenta/Yellow however there are photo cartridges that contain Photo Cyan/Photo Magenta/Photo Black.